Rumors are flying that Finnair will soon be accommodating some international travelers on a Boeing 787 Dreamliner. The airline's official position is while retrofitting some of its Airbus A330 and 340s with lie flat business class seats this winter, part of a fleet wide upgrade, the airline will need a wide-body replacement aircraft in December and January. If the airline were to wet-lease a LOT Dreamliner, the plane would fly on the Helsinki / New York route. 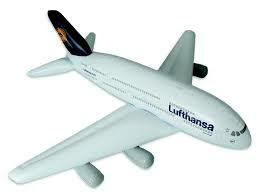 A final decision on what airplane will fill the gap, "has not been made," according to Finnair spokeswoman Laura Varja. She added that a wet lease (in which the airline hires both the plane and the crew) would be for a time period of between one-and-a half to three weeks. 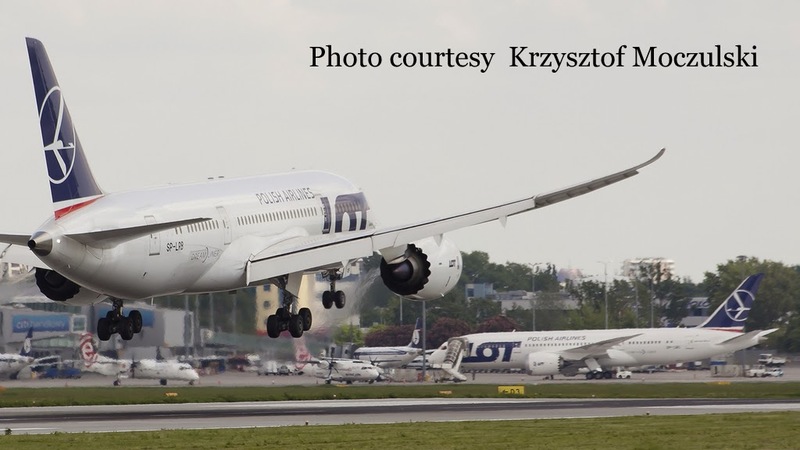 The Dreamliner lands in Warsaw. 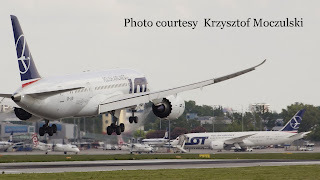 My man in Poland, Krzysztof Moczulski, tells me "its no mystery that in the low season, LOT is actively looking for work for Dreamliners," pointing out that through the company Rainbow Tours, LOT runs 787 charters to Bangkok, Colombo, Varadero, Cuba, Cancun and La Romana in the Dominican Republic. 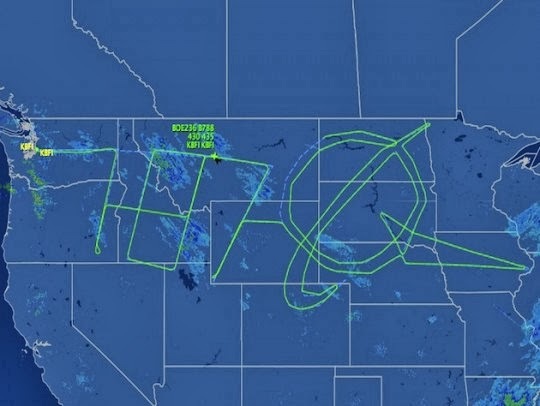 Dreamliner flies a special plan to trace its name and Boeing logo in the sky. In his post about the flight, The New York Times Matt Wald explains that no one on the ground could have seen the numerals 7 - 8 - 7 and the Boeing logo "painted" in the sky and produced into a visual by Flightaware.com. 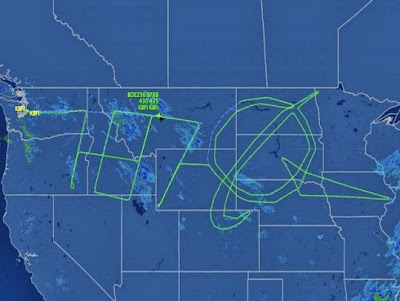 Boeing's Randy Tinseth reported in his blog, that the complicated aerial dance gave all aviation geeks something to smile about. You may have noticed that my activity writing this post has a similar meandering quality. (There's an American holiday coming up on Thursday.) So rather than spend 19 hours testing my extended range, I'll leave you with this video from two weeks ago of the first Dreamliner flight into the Dominican Republic of G-TUIB, one of the four 787s operated by Thompson. And if I learn anything more about Finnair's temporary dance with the Dreamliner, I'll be sure to let you know.